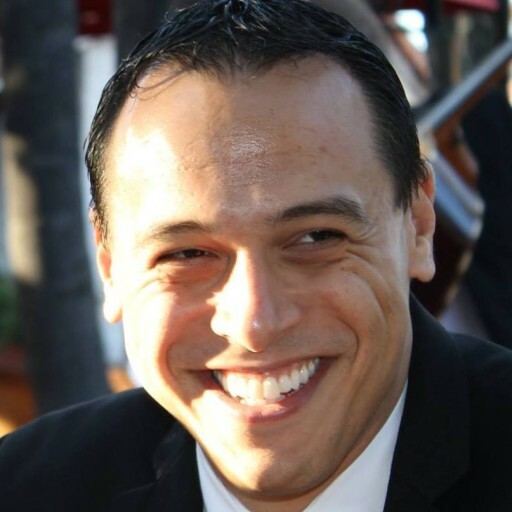 Justin Gary is the founder and CEO of Stone Blade Entertainment. He is a former Magic: The Gathering US National Champion and has designed games professionally for over a decade. Simple Constant Contact is not configured properly. 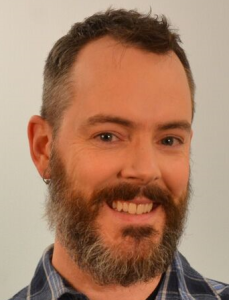 As part of my series on publishing your games, I’m excited to interview Scott Elliott, game industry veteran, VP of Business Development at Gen Con, and long-time friend. While my last article focused on using conventions to pitch your tabletop game to other publishers, Scott focuses on how you can self-publish and get the word out at Gen Con. I can tell you from personal experience that his strategies work. Stone Blade Entertainment launched its first game at Gen Con 2010, and our success there provided the foundation for the company today. There is nothing more exciting than the feeling of players first getting to demo and purchase your game, and for tabletop games, Gen Con is the best place to experience that. Gen Con is sold out for exhibitor space this year, but if you want a chance to attend Gen Con 2016 to game, network, and plan your presence at Gen Con 2017, all you have to do is sign up for a chance to win a free 4 day pass! For anyone who aspires to publish their own tabletop games, use the below tips to set a concrete timeline now for 2017. Deadlines have a magic power to help turn aspirations into realities. Set one now and start filling in the gaps between idea and product. I’ll give more tips on the publishing process (including insight into Kickstarter and other crowdfunding options) in the weeks and months ahead to help you along the path. If you’ve ever thought about starting your own game company, think about the next 18 months as your window to make it happen. Thanks for taking the time to answer these questions. You and I have known each other for a long time, but for those in our audience who don’t know you can you please introduce yourself? SE: In the early 1990s, like many others, I fell in love with Magic: the Gathering. I enjoyed competitive play, but found that I was a better event organizer and judge, so that’s where I focused my efforts, eventually advancing to become a level 3 judge, judging nationals, Pro Tours, Grand Prixs and so on. I organized tournaments in the St. Louis region in the early 2000s, including an invitational series. Fun times! All that experience led to an opportunity in the games industry with Upper Deck. I managed organized play and was directly involved in games rules systems, the judge program, and had a small role (as did most of us non-designers there) in game development. After six years at UD, I joined the team at Gen Con in 2009. During my time at Gen Con I have had the privilege of helping to coach hundreds of game companies on strategies and tactics for success. My current title is Vice President of Business Development and some of my day-to-day work involves helping exhibitors and sponsors plan for their presences at the show, licensing the Gen Con brand, and planning the Georgia Street festival area of the show, where we have larger-than-life gaming, bands, a beer garden, and food trucks. I owe a lot of my company’s success to our initial presence at Gen Con 2010. For an aspiring game designer / publisher, how can Gen Con help them succeed in the industry? SE: Stone Blade’s initial presence at Gen Con in 2010 was a knockout. There was tons of buzz about Ascension at the show. There were pretty specific reasons why you guys were so successful at Gen Con. 2010 was the year that Gen Con launched the Marketing Fellowship Program, as a component of Entrepreneurs’ Avenue. For those that don’t know, Entrepreneurs’ Avenue is an area in the exhibit hall where companies that have no priority points (meaning they have not exhibited at Gen Con in the last four years) have the chance to secure a single one hundred square foot (SQFT) booth for $1,000. It is hands-down the best deal in event marketing for games. The Marketing Fellowship program requires companies to submit a presentation explaining how they will succeed at Gen Con. The application process is really intended to provide new companies with a simple list of questions that they need to answer for themselves, in order to be successful at the show. As an incremental benefit for being among the best applicants, six companies are chosen annually to have their booth bumped up to a two hundred SQFT booth, and to receive some additional free advertising to help drive traffic to their booths. The choices that Stone Blade made to be successful at Gen Con are a good roadmap for others to follow to succeed there, too. Highlight your strengths! Stone Blade focused on presenting your interesting art, world-class game designers (which implied world-class game design), and storyline. Hit your milestones for advertising success! 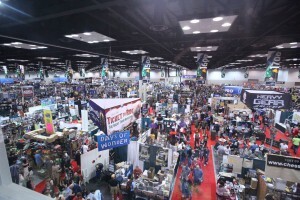 Advertising for your presence at Gen Con is important in three phases, and with three audiences. Early phase: (January – May) Preaching to the converted. Activate your base. 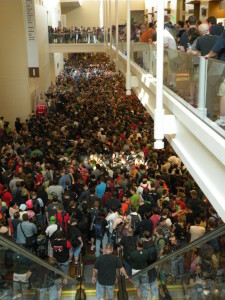 Telling your existing fans early that you will be attending Gen Con will help you considerably. These folks will be able to help spread the word from mouth-to-ear that their favorite game is going to be showcased and available to buy and play at the show. This is also the time of year when you will need to confirm that you have a base of demo team members available to help at the show. Your demo folks are almost always drawn from early adopters or superfans anyway, so you are being efficient and smart with your communications, by ensuring you tell them first. Peak advertising phase: (May – August) Speaking to the masses. 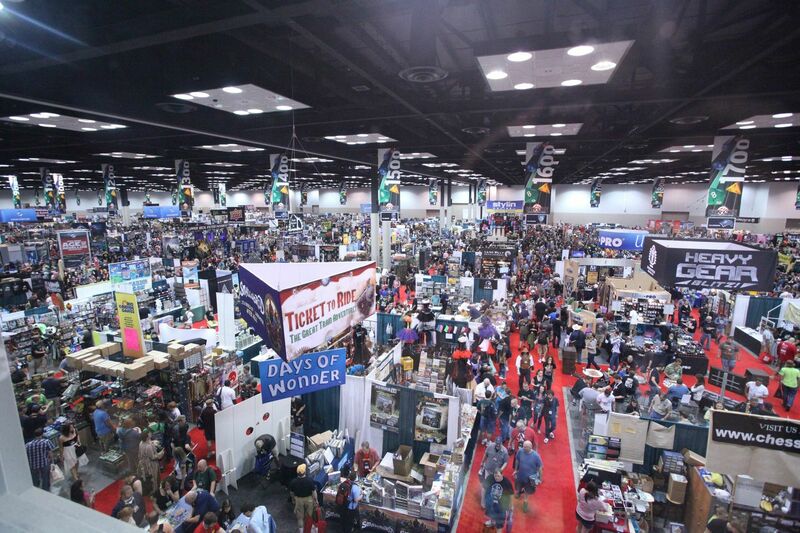 This is the time of year when spending real advertising dollars on social media ads and activating Gen Con’s marketing elements is a top priority for the majority of companies that advertise their presences through Gen Con’s official marketing channels. Now, admittedly, I have a profit-driven reason to say these things are good, since they directly benefit me and my employer. Nonetheless, I can tell you that we also have math to support this idea. Gen Con’s email newsletter (yes, email-based marketing is alive and well!) has an open rate that is often in the 30-40% range, and we see that convert into hundreds or thousands of clicks per link. Companies investing in our email advertising for their KickStarter campaigns have shared with us the visible spikes in their backers after our emails go out. Onsite advertising phase: (Annual show dates) Onsite advertising is more important for companies with multiple games or brands represented, and for companies with larger dedicated booth footprints or event schedules. Much of the preparation for this phase requires 1:1 coaching from the Gen Con team. 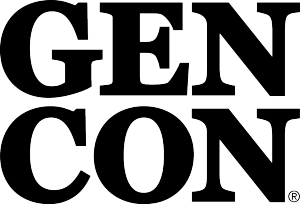 Since Gen Con’s exhibit hall sells out completely every year, it will be important to contact exhibitors@gencon.com during August to inquire about being included among companies interested in space in the exhibit hall, whether in Entrepreneurs’ Avenue, or in the general exhibit hall. Why do you think Gen Con has become such an icon in hobby gaming? SE: I don’t think it’s a stretch to say that contemporary hobby gaming, just like the modern Gen Con itself, wouldn’t be around, if it weren’t for the history of Gen Con and its role as a key place to launch new games & new expansions. There is a great intersection of eager hobby gamers who want to be the first to have the newest-to-market games, and companies who want to see the marketplace seeded by excited game players, who will spread the good news about the best and brightest game offerings during the time of year when many folks are planning for their holiday shopping later that fall. Alongside those core gamers we have seen thousands of new-to-Gen Con attendees from the Midwest region, and beyond. Those moms, dads, grandparents, and kids represent the future of gaming, and become hobby gamers by means of being introduced to the community at Gen Con. Seeing attendees and demo experts teaching new players and kids how to play their most-favorite games is one of my favorite things. For someone looking to debut a game in Gen Con 2017, what do you recommend they start doing now? SE: It’s never too early to work on scripting and practicing your game demos. As a salesman of games, when I did game pitches, I would work up a 30 second, 90 second, and three minute demo of any game I was trying to sell. The assumption is that you and your demo team will be able to shift into a longer-form demo, should the attendee show enough interest. It’s so important to be able to capture their attention and get right to the fun quickly in product demos, just like it is in elegant game design. Changing gears to focus on production: Do anything you can to ensure that you pull your production schedule forward far enough that you have product landed in the US and clear of customs in time for slow-shipment by land to Gen Con. Seeing companies waste thousands of dollars to air-freight late product bums me out – and it is one of the easiest ways to help protect your margin. Don’t blow it on shipping! Keep an eye on what advertising you see in Gen Con’s email newsletter for 2016. This will help to give you an idea of what other companies are doing now. Nothing better than learning from those more experienced, and improving their ideas. You can sign up for our newsletter here. Start working on a plan for the layout of a 10×10 booth and a 10×20 booth. If you have the space to mock it up in a garage or office storage room, it is helpful to see what can actually fit in that size space. I like to do banner production in advance, so there is time to place it in my booth mockup, and see how it looks, check line-of-sight, etc. Building out a booth mockup will teach you a lot, and if you have actual pictures of your mocked-up booth, those will be assets that you can include as part of your booth application. How can someone best set themselves up for success at Gen Con? SE: Prepare early. Build a timeline, and follow it. Build a budget. Ask questions, even if you think they seem too simple or embarrassing to ask. Plan for 50% more booth staff than you think you need. Otherwise, you will get sick from missing bio breaks and rest breaks. How can my readers best connect with you or other Gen Con representatives? To reach me directly, email scott.elliott at the same domain as those listed above.